For the protection of public health, bakeries must produce their goods under flawlessly hygienic conditions. Supplying the production rooms with clean air is an absolute must. Learn which intake and exhaust systems will effectively and economically protect your work environment. From dough preparation to partly-baked and fully baked goods, there are many production steps in which clean air makes a decisive contribution to product quality. Packing in clean rooms with low microorganism loads further improves the shelf life. To safeguard the entire production process up to shipping of the finished baked goods, you need a ventilation system that satisfies the specific requirements of the individual work areas and can be flexibly adapted or expanded. Regardless of whether you would like to optimize an existing system or plan a new one, we will advise you on your project and develop solutions that meet your requirements precisely. 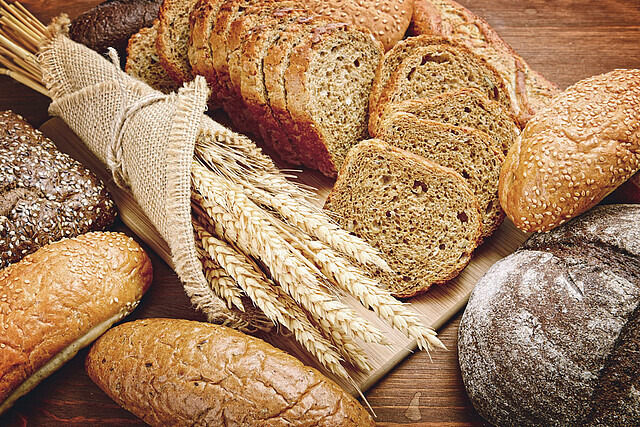 Benefit from our specialized expertise in bakery products. Discover our products for bakery products.